Usually Pakon pitha is made fresh coconut milk squeezed from fresh coconut paste. But If you can use canned coconut milk or if its hard to get, you just use water to boil the flour. Hope it will make easier for you guys. Boil plain flour in coconut milk and salt. Make sugar syrup to use cardamom and 1.25 litre water and let it keep aside. Because we need lukewarm water. Make your desirable shape. You can use dice to make shape. It will make about 30 pitha. Heat oil when oil is ready, fry the pitha till it becomes golden brown. Pakon pitha is very famous in our area. I am happy that I made nice and soft pitha using your recipes. I have tried before and always was coming out hard. This pitha is awesome in winter morning. Pakon Pitha recipe is actually my mum’s recipe. She makes the best Pakon pitha in world. nice to hear your one nice and soft too. Pitha is actually in winter thing but it is a pleasure to have it in any season.it brings sweetness in our busy life. I don’t have a comment since I didn’t make the pitha’s yet but plan to. I have a question . Can I make all the pitha’s and freeze them ? Wii they be good when I defrost them? Hi Shireen ! you can defrost them. sometimes my mum does that. I am a Bangladeshi just like you. I am really astonished to watch your blog.You know a lot about Bangladeshi recipe. Absolutely you are an extraordinary blogger. I think, you are the pride of Bangladesh. If you are satisfied with my comment, please E-mail me. I wish your radiant success. 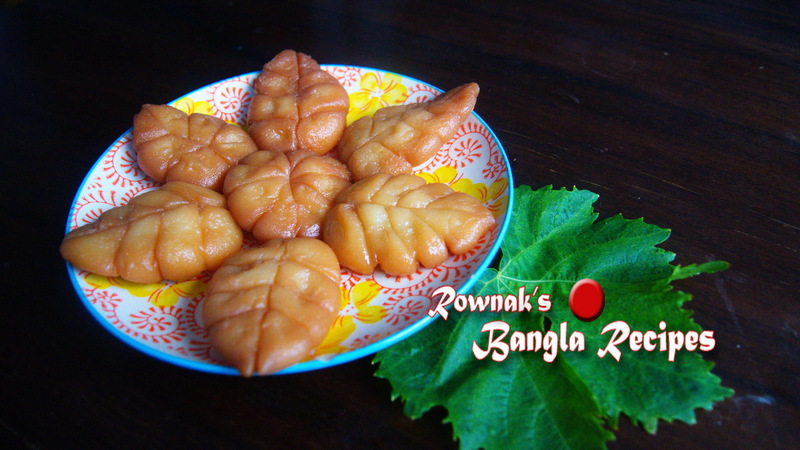 I was really excited to see this pakon pitha recipe and willing to make but could you please let me know how I suppose to make this kind of shape? Instead of coconut cream can I use whipped cream/full cream milk or milk + butter (1 cup)?